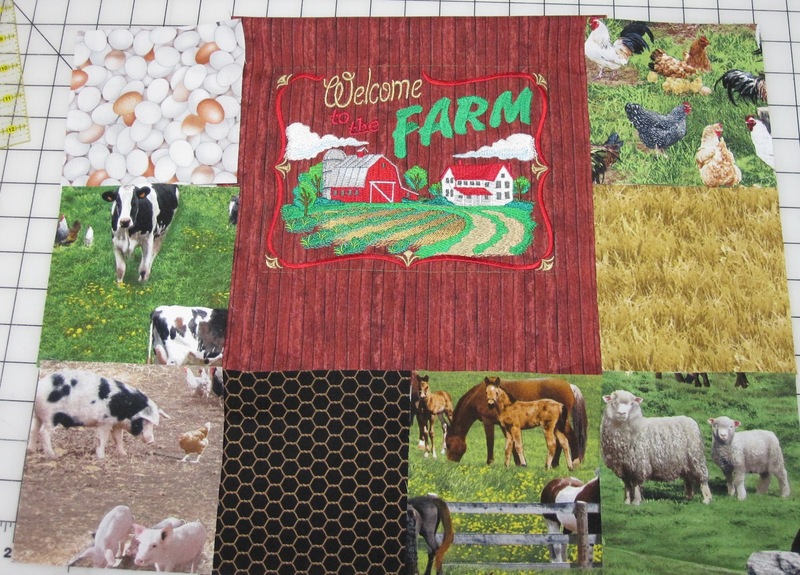 Here is a peak at the new Farm Bag I've been putting together. I found this great embroidery that I am putting in place of 4 squares on the side of the chubby charmer bag. The embroidery is from Embroidery Library and takes about 4 hours to stitch out all 70,000 stitches! There are 44 thread changes using 22 thread colors. I really like the way it turned out so far. 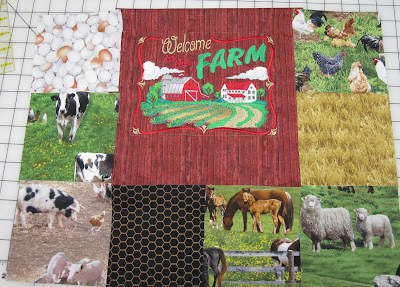 I think I have enough farm fabric to make 7 bags total, so be looking for them on my Etsy site in a couple weeks!